Updated Friday October 6, 2017 by Robert Dungan. 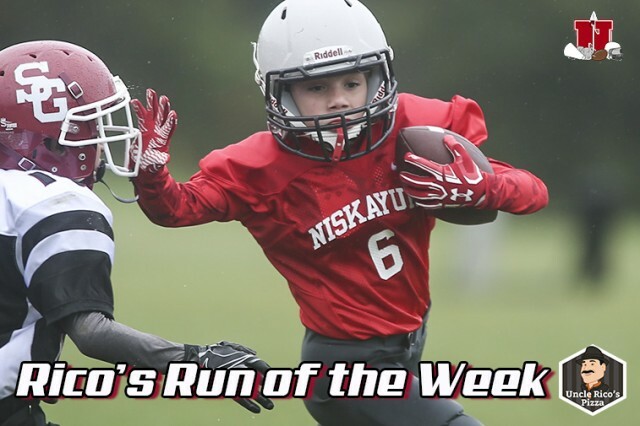 The week Four Niskayuna Youth Football and Cheerleading "Uncle Rico's Run of the Week" belongs to Rylan Padelford. Rylan scored on this carry in the 2nd half against a tough Scotia Glennville Defense. Thanks to Uncle Rico's Pizza for supporting Niskayuna Youth Football! Place your order today at (518) 280-9544 or www.unclericospizza.comfor Niskayuna Youth Football's favorite pizza and pasta delivery.